That’s how Bigger Lovers singer/bassist Scott Jefferson justifies four grown men chasing the perfect pop song like 30-year-old rookies. Huddled around a cluster of pints at a local bar, the Philadelphia quartet is fielding questions and running the perfunctory band drill of discussing locations for a new practice space. It may be a brilliant career on a smaller scale, but the Bigger Lovers—Jefferson, singer/guitarist Bret Tobias, guitarist Ed Hogarty and drummer Patrick Berkery—don’t really question their assignment. Tobias and Jefferson defected from shared indie-rock outfit the Diane Linkletter Experience in 1997, and when the pair discovered the discrete joys of vocal harmonies, the Lovers’ course was clear: literate guitar-pop the likes of which hasn’t been brushed under the mainstream carpet since the Soft Boys, Zombies and Big Star. “We’re a cult band in our own town,” says Berkery, who, as a moonlighting music critic (for MAGNET and other publications), cares deeply for rock’s arcanum. “Our fans tend to be bespectacled guys who like to get loaded and talk about the Move,” says Tobias. 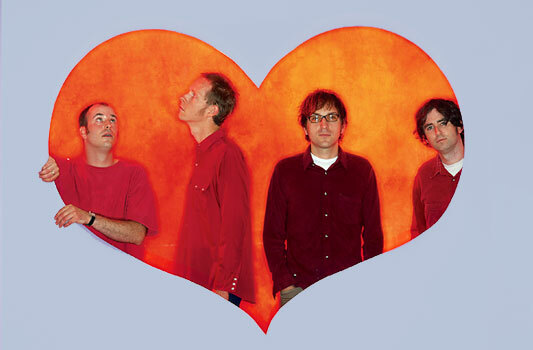 The title of the Bigger Lovers’ 2001 debut, How I Learned To Stop Worrying, was both a nod to Kubrick’s Dr. Strangelove and a hint at the music-biz fiascoes that delayed the album’s release by almost two years. The relief is that the record provided enough roughed-up hooks and classic tunes to catch critics’ ears. The Bigger Lovers’ new album, Honey In The Hive (Yep Roc), is all about getting to the sweet stuff after you’ve been painfully stung. Aided by producer Thom Monahan (Pernice Brothers, Beachwood Sparks) and engineer Brian McTear (Mazarin), the record comes to a near-soulful simmer with soft touches of keyboard and thick layers of vocal harmonies. As befits a band called the Bigger Lovers—named not for any size-matters concerns, but rather after Tobias’ obese cat—the songs are pathologically geared toward crushed romance.